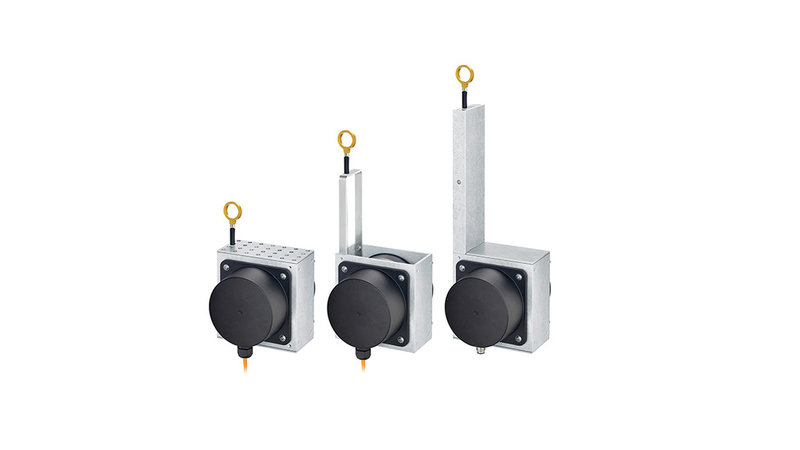 For outdoor applications.The new draw wire encoders D120 are especially reliable and durable thanks to their extremely rugged design, high protection rating (IP69k), and wide temperature range. The extensive selection of housing and wire types, wide measurement range, and various interfaces reflect flexibility and adaptability. An additional highlight is the possibility of redundancy. Sensors reach their limits in outdoor applications. In addition to maximum durability and precision, they must also be cost-effective. The new draw wire systems now unite these demands in a single device. Special housing, wire and fastening types ensure reliability and durability in demanding applications with wide measurement ranges - all at very economical prices.